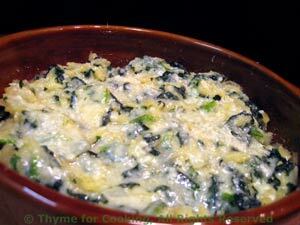 Orzo Florentine, lovely combination of creamy orzo pasta and Spinach. Sprinkle with Parmesan and bake at 375F (190C) until it starts to brown; about 15 minutes. Remove and serve directly from baking dish.